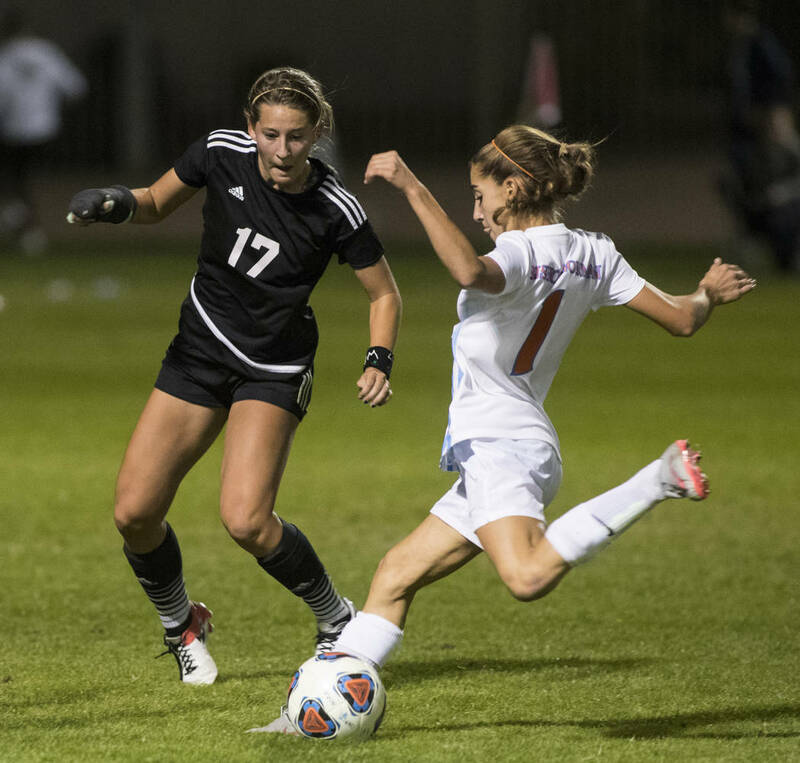 A look at some of the top players and teams for the soccer season. The senior was named to the All-State second team and helped the Miners win their first state championship last season. The senior had 25 goals and 12 assists to help the Warriors go 17-5-2 last season. He was named to the All-State first team. 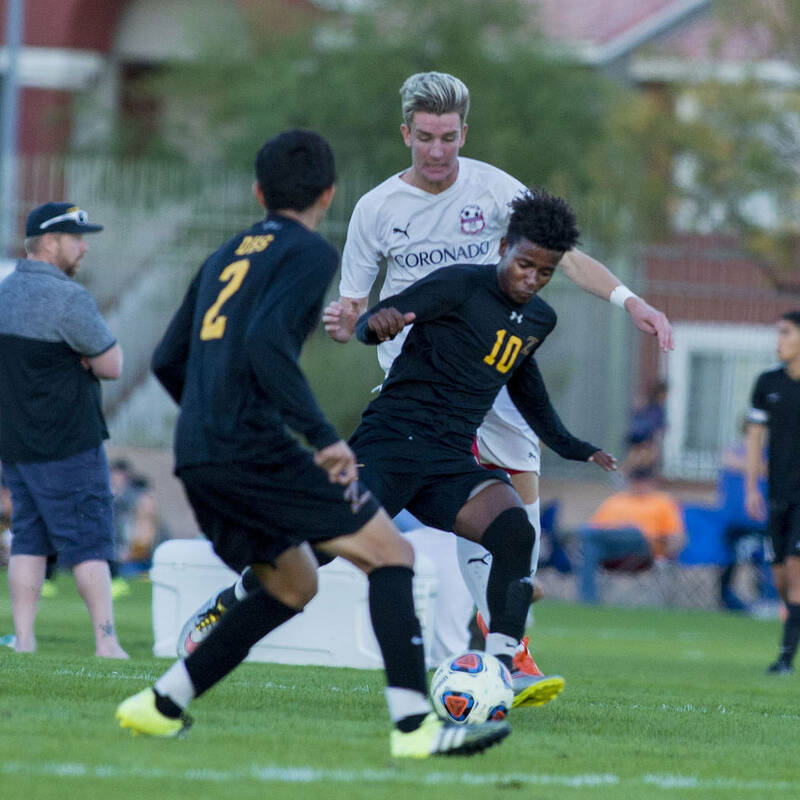 The senior led Southern Nevada with 11 shutouts last season, was named Northwest League Goalkeeper of the Year and to the All-State first team, and helped the Panthers claim a national ranking. 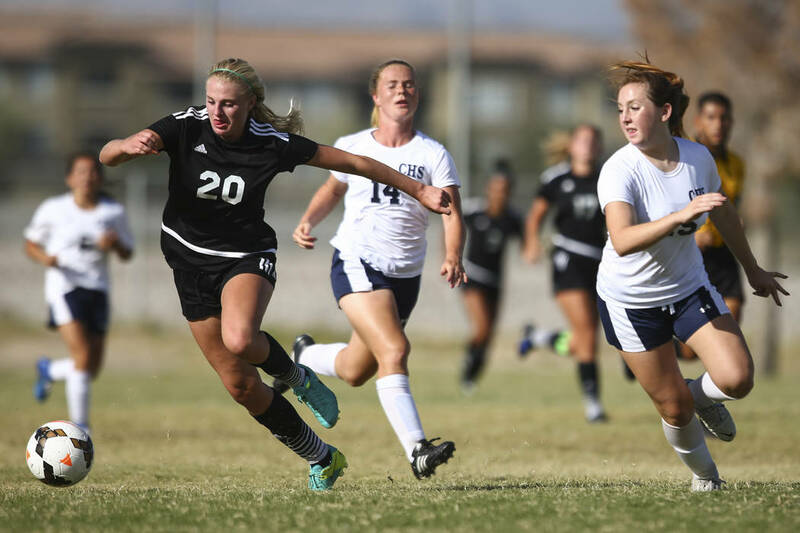 The senior was third in Southern Nevada with 39 goals last season and had a hat trick in the Jaguars’ first playoff victory since 2013. He was named to the All-State first team. The senior led the Trailblazers with 21 goals last season and helped them win their first league championship since 2000. He was named to the All-State second team. The senior led the Bulldogs with 22 goals and 13 assists last season and was named to the All-State first team. The senior had 12 goals and 13 assists last season and was named to the All-State second team. 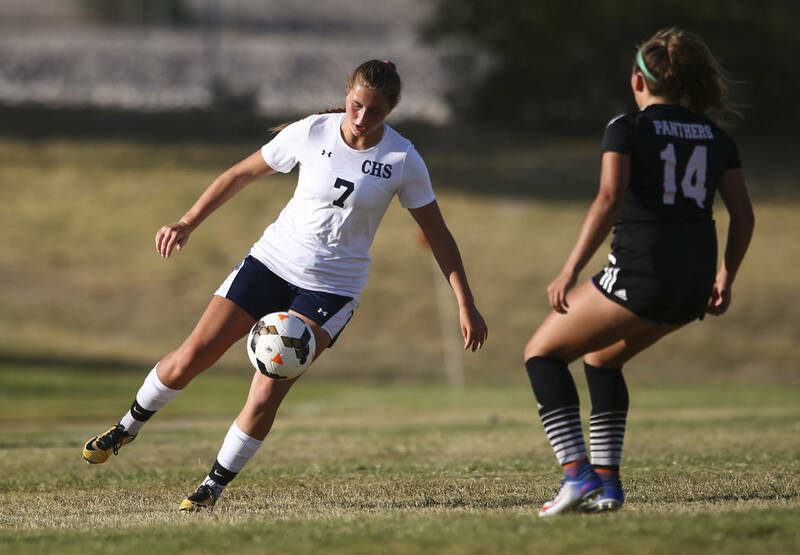 The senior scored a Southern Nevada-high 32 goals and led the Gaels to the Class 4A state championship last season. She was the Southwest League Offensive Player of the Year and named to the All-State first team. The junior notched 19 goals and 16 assists in helping the Gaels win the Class 4A state championship last season. She was named to the All-State first team. Always one of the valley’s best teams, the Gaels won the Sunset Region title and reached the state semifinals last season. The post-John Lynam era begins for the Cougars after back-to-back trips to the state title game and a title in 2017. The Trailblazers won the Southwest League for the first time since 2000 last season and return a lot of talent. 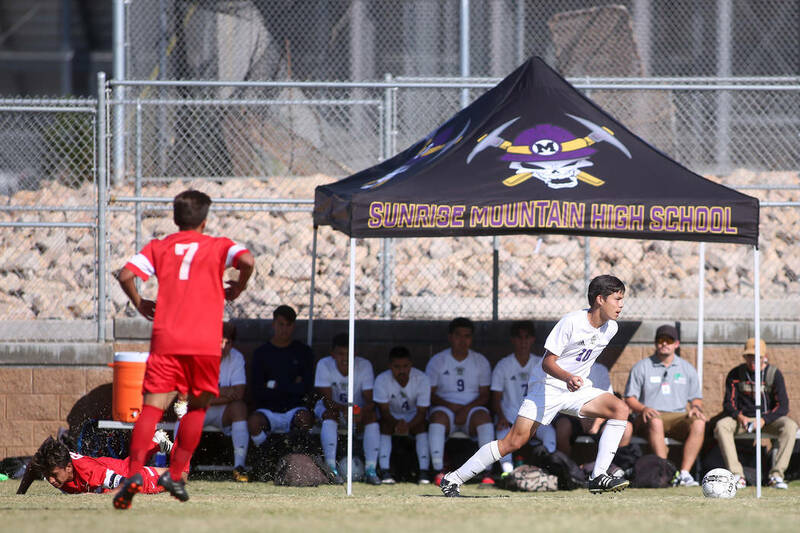 The Miners lost only once last season and captured the program’s first state championship. They are 35-2-0 in the past two seasons. One of the most dominant Class 3A teams in the past five years, the Warriors won the Southern Region in 2016 and reached the semifinals last season. Before last season, the Aggies won the previous five state titles. They’ll be back with a vengeance with a new coach in 2018. The Gaels reached the mountaintop last season and return enough talent to have realistic eyes on a repeat. 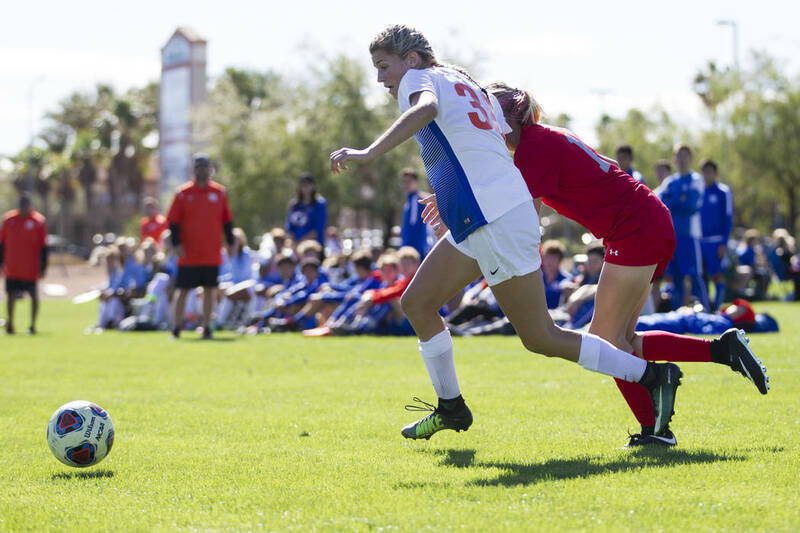 The Cougars have reached the region title game eight years in a row, but now realignment puts them in the same region as Bishop Gorman in what could be a major showdown. The Gators reached the state semifinals after a region title and will look to repeat with six returning starters. As always, the Northwest League will be stacked, and the Panthers have eyes on a deep postseason run.